The last time tenor Ken Lavigne performed in Oliver, the roof of the old Venables Auditorium was leaking and water dropped from the ceiling onto his head. Friday, February 28th at 7:30 pm he returns with his band to find himself front and centre in the fabulous, state of the art, Venables Theatre. Rising literally from the ashes of a devastating fire, the exquisite new theatre and this opening act will mark the beginning of a new era of music and performing arts in the South Okanagan. In his latest touring concert, Ken and his band (piano, guitar, bass, drums and violin) will take the audience on a riveting and enchanting journey, retelling his personal campaign to sing at Carnegie Hall with the New York Pops. It’s an unbelievable account of a man who, against all odds, found a way to live out his dream of singing on the world’s most prestigious concert stage. Four admission flex passes for only $60 are available at Beyond Bliss, Oliver, and Imperial Office Pro, Osoyoos, or at the door. Single entrance admission is $20. Students 17 and under are admitted free. Bring your cheque book so you can purchase your next season’s pass at Early Bird prices. The story of the road to Carnegie Hall is told with spectacular songs and entertaining and hilarious stories. Ken embodies the spirit of the underdog – audacity, tenacity, tragedy and ultimately triumph. His singing ranges from ballads and musical theatre favourites to familiar classics and operatic arias. Ken is a singer, composer, communicator and consummate entertainer. Recognized early for the outstanding timbre of his lyric tenor voice as well as the ease and agility with which he sings, Ken undertook thorough vocal and music training in his native Victoria, B.C. and further study in Wales and in New York. He had the option of taking the traditional route to a career in opera and has performed many of the major roles. More recently he has branched out to cross-over solo concerts while remaining in demand for opera roles. 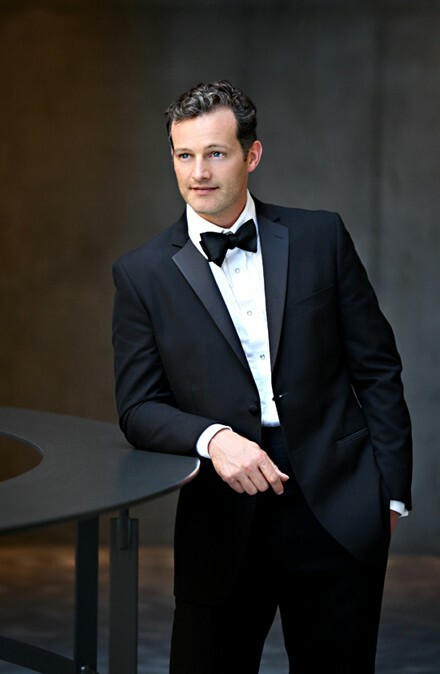 He is a founding member of the Canadian Tenors and also co-founded the trio, Romanza. Since his Carnegie Hall debut, Ken has regularly performed with multi-Grammy winner David Foster and has had the honour of performing for his Majesty Prince Charles last fall. All the while he continues to earn accolades with symphonies and orchestras internationally. The February 28th concert is not to be missed. At long last we have an exceptional theatre space. Come and experience it ! This is a time to celebrate! Call Maureen at 250 495 7978 to arrange for transportation by van if you are worried about winter driving conditions and know this performance is one you just can’t miss!